Oh yes, another example of someone getting out of debt by tithing. Read the story here “CBN.com“. I have to be careful here, because i do believe God honors faith, as well as sacrificial giving, which means that i believe giving 10% isn’t the only way to receive blessing. According to the story, apparently, a couple has paid of $125,000 worth of debt since they started tithing. I do not doubt that God’s blessing is upon them, i just wish people do not think that tithing is the magical bullet for their lives. For every tithing success story, you could probably find an equal story where an individual is tithing and getting in even more debt then before. In my tithing testimony you will read that my own family suffered the consequences of debt, and legalistic tithing. People don’t understand that God blesses the sacrifice not the animal. So it isn’t because this couple reached the 10% benchmark, that God decided to finally bless them. It’s the sacrifice that they made that God blessed. I’m not preaching another form of the health/wealth gospel here. God’s word says he blesses faith. I couldn’t tell you the form that your blessing will come in, or even if it is now or in eternity, but God does reward faith, not that personal gain is why you should give. Many more have gotten out of debt, through practical stewardship principles rather than waiting for the windows of heaven to open up. Typically, money doesn’t fall from the sky. Usually, financial planning is the key to financial success. There are no tricks to being wealthy, or even financially stable. There is only planning, and implementing. It is how the Old Testament transfers to the New. The land of promise and its tithe transfers as Jesus, our ‘land of promise’ to those who accept Him. The tithe money transfers as the thirty pieces of silver that Christ was exchanged for. 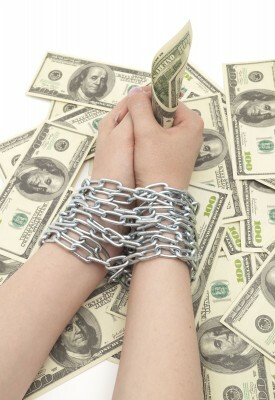 The Old in Deut 14:25 says that the tithe can be exchanged for money. Another way of looking at it is that since God says the tithe can be exchanged for money, then the tithe cannot be money. We began tithing awhile back and actually had this very discussion. Around, the same time our pastor preached on Acts 5:1-10 and boy was that enlightening. It’s a good read when deciding how to be a good steward of the money that God’s entrusted us with. 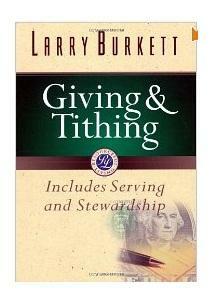 Are you tithing because you are expecting something in return? Or are you tithing because thats what the Word of God says? God is not a liar , as men are sometimes , what He said that He will do , He will do , if He says that He will pour you out a blessing for tithing , then He will …end of story . John. Mate, so when you tithe+ end up debt ridden thereof? Love to read your reply! Ok John, let’s take your statement to it’s logical conclusion. So let’s . . .
John, didn’t you know Jesus came to fulfill these laws and not abolish them? Don’t forget that all scripture is profitable. Oh yeah, don’t forget about his blessings on your life for obeying these commands also. (Deuteronomy 11:27). John, i hope you put God’s promise of his blessing in Deuteronomy 11:27 to the test as well. tithe’s last blog post..Is It Important to Debate Tithing? -This is not at all what Exodus 21 says. It is talking about if a master was cruel enough to beat his servant to death then the master should be punished because what he did was wrong but if the master beat the servant and the servant lived for few days and then died then it wasn’t clear if the death came from the beating. It isn’t entirely clear to me why God would allow such beatings but I know God is good and had a reason and I see often that discipline is a good thing. Thankfully since I don’t own slaves I don’t have to decide if I should beat them or not. So I guess really debating if this law applies is a little silly. But I would say like all the laws it still stands that I should not beat my slaves/servants to death. -Don’t wear clothes of linen and wool. I’m pretty sure we can bring this one back to the earth is the Lord’s and the fullness thereof but if someone feels that this a law that they still need to keep it really isn’t that difficult to do and I think that this is really covered in 1 Corinthians 10. – The last three all really fit into the same category. These weren’t just ministers that God was talking about but priests that served in His very Holy Temple very near His presence without the atoning blood of Jesus on them. This isn’t God being mean or restictive, it is a Holy God, who cannot have sin or effects of sin in His presence. Physical defects are effects of sin and hair offers a covering of man glory in some way as I understand it from 1 Timothy. Oh and only serving until 50 I see as more of a blessing for the men serving. How long do you want the preists to serve and really is it up to you and again this has nothing to do with how long a church minister serves. Priest in the Holy Temple and Minister at Church are once again two totally different things. Finally God never tells us anywhere else to prove Him or test Him other than with bringing in the full tithe in Malachi 3:10. So it probably isn’t wise to be putting other promises to the test. Actually I think that Jesus made this pretty clear when He told Satan that it is written “Do not tempt the Lord” when Satan told Jesus to throw Himself from the Temple. Also, the promise of Deuteronomy 11:27 was made specifically to the Isrealites about the land of Canaan and they already failed so I’m not sure I would hold to securly to all of those promises. Not to mention there really is no way for me to keep the law perfectly and thus get those blessings, if there were then there would be no need of Christ. Not that this means I should try to keep the law, it just means that I won’t do it perfectly and therefore will not get those blessings promised in Deuteronomy 11. You made my point for me. We can’t simply take these laws in the old testament and transform them to fit into the New Testament Church. You are completely misinterpreting scripture. “Test” the Lord is not the same as Satan’s temptation of the Lord. God asked Israel to test his promises. Malachi 3 was not an allowance to tease, trick, abuse, or defame God. God was asking Israel to prove his promises. An invitation, which is also applicable for all of God’s promises. Either way, how can you even use this as an argument to defend tithing? The pressure should be on your end to provide scripture that proves God’s plea to Israel under the old covenant makes tithing universally and eternally binding? Uniqueness is not a valid defense of your point of view. The funny thing is that there’s nothing unique about Malachi 3:10. You just think it is, because you believe a holy God permits us to tease, abuse, trick or defame Him with this one area. That’s just comical. Yeah some one with a brain on this subject. Great argument. Ok so let’s see first. I didn’t argue that the old testament law can’t be applied to the church but that things that had to do with Temple and priests don’t just automatically transfer over the a church building or pastor/minister of the church. I’m assuming that the argument that you were trying to make by listing all of these old laws was to say that the tithing law is outdated but explain to me how the tithe was fullfilled by Jesus. I mean if He did not abolish the law then we need to see how He fulfilled it and what He still wants us doing. Are the 10 commandments the only law that applies anymore? I’m honestly asking for your opinion on this. Should we be keeping the feasts of the Lord? The Sabbath? You are right we can’t just arbitrarily pick and choose. But also, it is right to say that we just don’t have to follow old testament law anymore b/c Christ has fulfilled it. How is that different from Him abolishing it? Ok with the tempt and test thing. I could be totally off but it seems to me that Satan takes an Old Testament promise of the angel’s having charge over us and tells Jesus to test it. like see if God is telling the truth. I’m not sure how he is saying tease, abuse, trick or defame God there. Now perhaps I’m not clear on what you were trying to say with Duet 11:27 please explain the point that you were trying to make in saying that we should put that promise to the test. However, I did look up the word used in Mal 3:10 in Strong’s and it is only used here and in Mal 3:15(similar to 3:10) and Ps 95 as refering to proving/trying/examining the Lord. All of the other times the verse is used about God trying men, never the other way around so I would say that Mal 3:10 is unique. Please reply. I earnestly want to hear your opinion on this, this is actually something that I’m struggling with and I would love to know your opinion on these things. We obey the 10 commandments today because of its eternal relationship to the character of God. For instance, we do not murder because God’s character does not allow us to hate. We do not steal because covetousness is antithetical to the character of God. I call these universal principles. Technically, it’s irrelevant to follow the 10 commandments because we have to defy one of the character traits of God before we can even disobey any of the commandments. You need to also be aware of the passive laws that teach us principles, but do not always contain principles. I would call these standards. For instance i make my bed every day. This ‘might‘ teach me cleanliness, but by no means does this routine guarantee to teach me anything. I can serve at the food kitchen every week, but this doesn’t not promise to teach me selflessness. Always remember this – God’s principles are found in the lessons, not the exercises. Only two, 2 laws required by GOD: Love Him + love neighbor! I think that you mean Deuteronomy XXV111 don’t you , that is where the Lord promises the blessings of obedience , the law has not changed at all , the only difference now is that we have a Lamb who has been sacrificed on the cross , the lamb of God , the Son of God …..so we do not sacrifice a lamb for our sins ,however there is a lot more to it than that , for example , tattooing our bodies is not pleasing to the Lord , we are to eat only certain meats , we are to keep just weights and measures , to care for widows , and not molest the stranger in the land , and not to harvest the corners of the field, but to leave it for the gleaners , it is all in the bible , the word of the Lord , it is not hidden, and the promise , ” the Lord thy God will set thee on high above all nations of the earth” .. its not my words , thats the Lord speaking here . i don’t know which criteria you have used to pick and choose which laws are relevant and which ones are not? That was just an example of a few of the laws , ALL the LAWS are to followed ,I’am sure that if you read the bible , you are familar with the laws? We are to love the Lord with all our heart mind soul and strenght, and it follows that if we love the LORD we will find out what He requires of us as His people, and the breaking of those laws is SIN , in other words we have missed the mark and have broken HIS law, which is why we have a savoir, a way out … you know the rest . If people only knew how much the Lord loved them , then I’am sure that they would keep those laws to the LETTER, God told his people to be very carefull not to do as those nations did that He had just kicked out of the land , why, because God is Holy, and He wants a Holy people , why , so He can bless and prosper them , let me ask you a question, who would you love most, a son who loved and obeyed you , or a son who hated you and was disobedient? now the son who loved you could do some very bad things indeed, but you knew that he would come and ask your forgiveness , because he loved you ,would you forgive him? where there is much love ,there is also much forgiveness. Now , God is not stupid , don’t you think He knows who loves Him? I once had a kitty cat , this cat did some very bad things , which kitty did I love the most? the cat who loved me the most , which also happened to be the bad kitty , how could I not love the kitty who loved me ? well, God is the same way,that is why there is forgiveness for us , If we turn to Him. I’m not confused about the depth of God’s love. I’m confused about how we can justify mandating a 10% standard with giving as part of the spirit of the law, and disassociate tithing with the letter of the law. His people perish from lack of knowledge indeed….. well, here we have God basically saying ” bring 10%of your increase in to where I will tell you for my purposes… what God is saying is , that 10% of the increase is mine , it is my TAX , it is not yours as you would choose for your purpose, it is MINE. Now since it is the LORDS , if we use what is the Lords for our own use , it is termed sacrilege , and that is a serious offence, why , because it is the Lords , so basically we are useing what is the Lords for our own use , it is like taking what is holy , and throwing it to the dogs , that is why Jesus got so mad at the money changers in the temple , using what is HIS FOR OTHER USES , SECULAR USES. I’am almost sure that if it wasn’t for those very few who did obey Him , the nation would indeed be in very bad shape . There is no way out of Gods tax . 10% of the increase !!!! go tell the people . I reckon you’re wealthy + tithing no hardship to you?! As wage earner, tithing + being unable to pay bills on time. My religousity was shaped by reality! Thanks for your response, but i wasn’t looking for information about what God had commanded at one point. I’m well aware of what he said. What concerns me is that the criteria to include tithing is the same criteria that the other laws attain as well, except that they are excluded. Your criteria that you’ve used to support tithing does not cover the command to consecrate the firstborn to God. ” a ransom for the soul” this tax was not collected by the romans , but by the temple , also called ” An atonement for the soul” since Christ was a child of the Kingdom, He was not obliged to pay it , it would have been like one hand taxing the other , only strangers paid it , those with sin , it is a principle ,but He paid it anyway in order not to give offence, he denied his secular interest , in order not to give offence , he did not deny it for duty sake. As for the first born , that is the same principle as the tithe , the tithe is 10%, but it is also the firstfruits of the increase , the first part , and also the best part , God wants not only 10% , but he wants the FIRST part , I assume , that this is , that the Lord wants us to be ever mindfull of Him first and foremost , my question is … who excluded these laws ? I haven’t read anywhere that God changed the consecration of the first born … now , to consecrate means to dedicate , to set apart , the first born were dedicated to the Lord , they were Holy to the Lord , they were the Lords . I hope that that answers your questions Jared, I find that today people want to do their own thing , so they search the good book in order to justify their actions , well , God will not have any of it , His word is very plain speaking , you can’t get it any plainer , if it is not of faith , then it is sin , but in our modern society , we do not understand , nor many of us wish to , for it would expose us , and so we do not get His blessing , and we also miss His fellowship, and believe me , He is with those who love and obey Him. Thank you for your message. I have been tithing for a good while now,thank God. I have acted only for the purpose of obeying. Even once fighting for my last $40, with a but Lord, I need to pay…Again told to give it all. Ok Lord but you gotta help me. Got a check for $400 in mail next week, overpayment of something years before never expected. I obeyed “ test me” was all I had to do. I have to remember not an investment stock that I seek to pay back, but in my faith only do for His glory. I had questioned lately when I see the new church building and mug faced members where should I be doing to ensure God served. You gave me reason to as Bible says “ Prove all things,” even in tithing. It’s God’s money.